If you’ve ever been forced by a fitness instructor to spend even 30 seconds in an abdominal plank position, then what Gabi Ury accomplished will amaze you. The Boulder, Colo., teen held a plank for one hour, 20 minutes and five seconds April 19, two days after her 16th birthday. 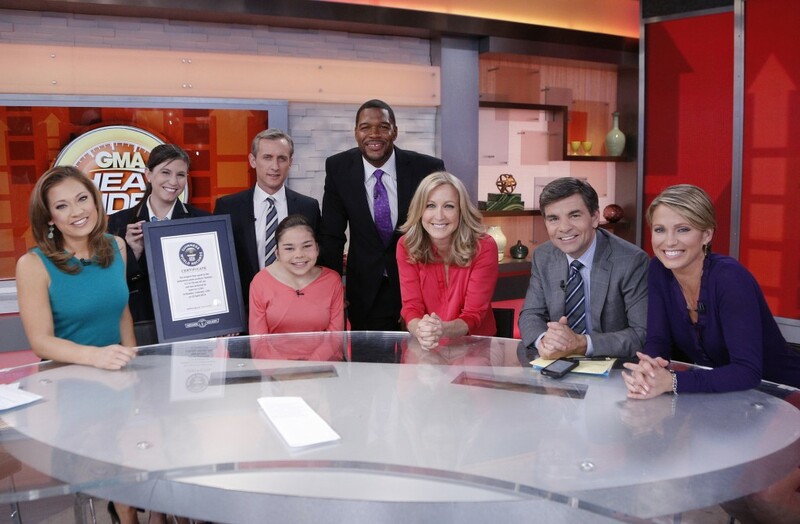 Gabi found out on “Good Morning America” today that her marathon plank – a position in which you rest on your forearms and toes with your abs and glutes engaged – has earned her a Guinness World Records title for the Longest Time in an Abdominal Plank Position by a female. A “thank you” was all Gabi could muster in reply to Patrick because she accepted the award while on “GMA” in a plank. 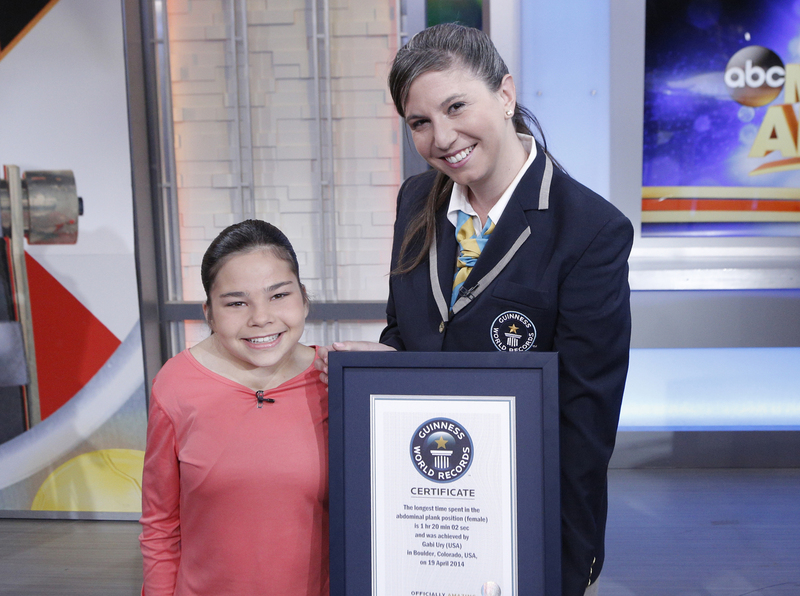 The teenager has been trying for a Guinness World Record title since fifth-grade, according to her website. She zeroed in on the plank in August after her high school’s volleyball coach told her to hold a plank while the rest of the team ran. Gabi has trouble running because she was born with VATER syndrome, which has left her with scoliosis and missing muscles in her calves, glutes and abdominals. The syndrome has also forced her to undergo 14 surgeries since birth, the first of which when she was 4 months old. She used her attempt at the Guinness World Record title as a way to raise money for the hospital that treated her, pulling in over $50,000 for the Children’s Hospital of Colorado. “Most of my 14 [surgeries] were at the Children’s Hospital so they really helped me to be healthy enough to do this,” Gabi said. Her medical history makes it all the more amazing that she was able to blow past the previous Guinness World Record for a female plank, 40 minutes and one second, set by Eva Bulzomi. Even Gabi says she has “no idea” how she did it. For everyday gym-goers without Gabi’s drive, or abs, the teenager has one piece of advice for mastering the plank.